Jennifer Fisher loves when her fans show off their pieces, calling it "the greatest compliment and inspiration" she could ask for. 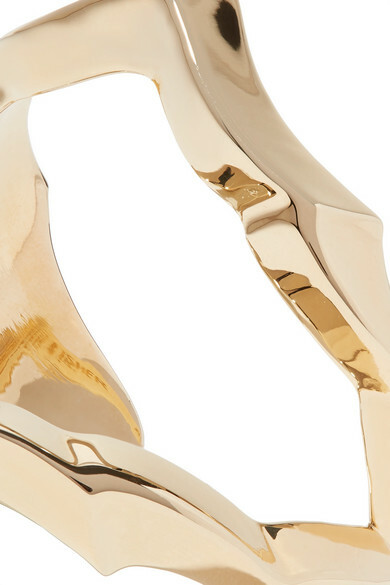 Cast from gold-plated brass, this 'Crystal' ring has a cool cutout shape and is hammered so it catches the light from every angle. 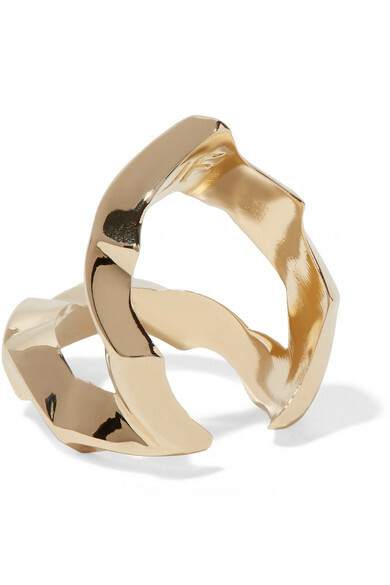 Wear this style on your pinky finger. Shown here with: Haider Ackermann Sweater, Attico Skirt, Jennifer Fisher Cuffs, REJINA PYO Bucket Bag.